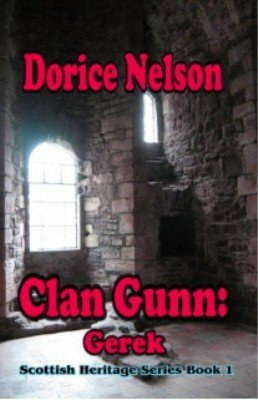 Author: Nelson, Dorice Set In . . . Description: To become chief of his clan, Gerek Gunn must wed before his 30th birthday, an arranged marriage, but that was how things were done—or so Gerek thought until he met his bride. Catronia has no desire to wed any man and certainly not one known as the "Beast of Battle." In disguise, Catronia flees, only to find herself sharing a crofter's hut with the very man she ran from.A story of a struggle of desires between an upcoming Chief of a Clan and a woman whose last desire was to marry a "Beast of Battle"